As you may see in many medical offices or hospitals, patient files are usually organized with a color coded file tracking system which creates a more professional appearance, as well as better organized files. When it comes to medical files, the slightest mistake or misplacement may be fatal. In these types of environments, the office staff is just as important as the doctors on call – being that they are the ones who prep the files and have them ready for the doctors to keep them on their schedule. In most cases, these files contain information that prep the RN’s for what they need to do – before the doctor steps on the scene. For example, many patients suffer from hypertension and require medication before being seen by the doctor. This type of information would be found in the file itself, however, with an effective file tracking system, it can also be programmed into the file tracking software as well – giving the nurses a full head’s up before the file is even found. Many offices like to remind the patient of this medication when they call to confirm the appointment. The file tracking system can create a more efficient way to ensure that these matters are handled before the patient even reached the office and that the physical file is in the proper place by the time they do arrive! Although the most common places you will find a file tracking system are within the medical and legal fields – there are a wealth of other organizations who can utilize the system. The banking industry commonly uses an effective file tracking system for all phases of the financial industry such as mortgage offices, Underwriter files, payday loan companies, abstract companies and of course, in house bank files. 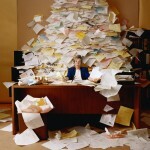 Since most of the banking industry has become electronically automated, one would think paper files would be obsolete. However, in most states, by law, a financial institution or bank is required to keep files for up to seven years. Most organizations keep older paper files archived in an off-site storage facility. In these cases, an effective and accurate file tracking system is imperative since the files are not physically on site to sift through. Which File Tracking System Should You Implement? FILETACTICS offers innovative file tracking systems that can help your organization operate more efficiently as well as optimize your time management more effectively. The File-Coder file tracking software provides an easy yet effective way to log the pertinent information of your existing files as well as create new labels for new files. FILETACTICS will provide you with a full online demonstration of how to utilize the file tracking software as well as how to use the print on demand label feature. We provide you with all the necessary supplies you will need and remain available to walk you through any troubleshooting issues. Take advantage of live technical support via telephone for the first 30 days of your service and continued support thereon via live chat and email. This entry was posted in Document Management, File Color Coding Tracking System, File Tracking Software, File Tracking System, File Tracking Sytem Benefits and tagged color coding, color coding system, document management, file tracking software, file tracking system, FILETACTICS, organization, production, records management, success by Jo Anne. Bookmark the permalink.